Governor Ralph Northam today announced additional powers to expand the Commonwealth’s ability to protect clean water. Governor Ralph Northam today signed a proclamation calling the members of the Virginia General Assembly into special session on April 11 to complete their work on the Commonwealth’s budget after they adjourned last week without passing a biennial spending plan for Virginia. Gov. Ralph Northam recognized 12 Virginia educators as recipients of the 32nd annual Outstanding Faculty Award for excellence in teaching, research, and public service. 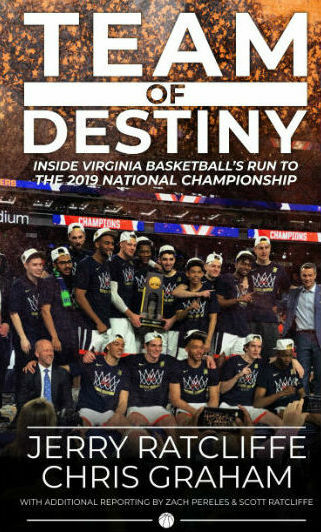 The annual Outstanding Faculty Award program is administered by the State Council of Higher Education for Virginia (SCHEV) and sponsored by Dominion Energy. Gov. Ralph Northam will join other distinguished panelists in discussing concerns about proposed oil and gas drilling off Virginia’s coast at a March 5 Blue Planet Forum titled Offshore Drilling: Perspectives to Consider. Governor Ralph Northam announced Thursday more than $6.5 million in Affordable and Special Needs Housing Loans for ten projects in ten localities across the Commonwealth. Governor Ralph Northam released the following statement today reiterating his opposition to the Trump administration’s plans to expand offshore drilling off of all U.S. waters and calling on the Bureau of Ocean Energy Management (BOEM) to host additional public meetings in Hampton Roads and the Eastern Shore. Governor Ralph Northam released the following statement today after the House Appropriations Committee released its amendments to the 2018-20 Biennial Budget. Gov. Ralph Northam will discuss Virginia agriculture’s and forestry’s $2.77 billion in exports when he co-hosts the 10th Annual Governor’s Conference on Agricultural Trade March 5. Governor Ralph Northam and Science Museum of Virginia Chief Wonder Officer Richard Conti announced the 2018 Outstanding STEM Award recipients. Governor Ralph Northam introduced legislation that would bring Virginia into compliance with management decisions made by the Atlantic States Marine Fisheries Commission (ASMFC) with respect to menhaden fishing. 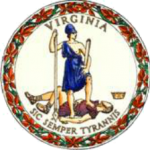 Governor Ralph Northam released a statement at the midpoint of the 2018 legislative session. On Monday, Governor Ralph Northam will join President Donald Trump, members of the administration, and state and local officials from across the country for a White House briefing on infrastructure. Gov. Ralph Northam released the following statement today after Congress’ failure to pass a measure to outline a long-term funding solution for the federal government and prevent a shutdown. Gov.-elect Ralph Northam today announced key appointments for senior leadership positions within his administration. In a letter to U.S. Secretary of the Interior Ryan Zinke, Gov.-elect Ralph Northam today requested that Virginia be excluded from the Bureau of Ocean Energy Management’s plans to expand offshore drilling off of all U.S. waters. Gov. Terry McAuliffe and Gov.-elect Ralph Northam today proposed their joint legislative agenda for the 2018 General Assembly session. The legislative package includes proposals to expand Medicaid and implement universal background checks in order to purchase a gun. Gov.-elect Ralph Northam released the following statement today following the Trump administration’s announcement it will expand offshore drilling off all U.S. waters, with potential to affect Virginia’s coast. Gov.-elect Ralph Northam today announced at Richmond Electricians’ Joint Apprenticeship and Training Center in Ashland that Megan Healy will join his administration as Chief Workforce Development Advisor. 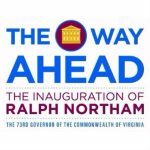 Gov.-elect Ralph Northam and Pamela Northam announced they will welcome Virginians to attend the Executive Mansion open house following the inauguration ceremonies on January 13, 2018. 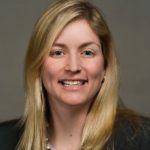 Gov.-elect Ralph Northam announced Dec. 14 his appointment of State Forester Bettina Ring as Virginia’s secretary of agriculture and forestry. Gov.-elect Ralph Northam announced today that Dr. Daniel Carey will join the Northam administration as the next Secretary of Health and Human Resources. Results of a new poll released today show that while Democratic voters were motivated by opposition to Donald Trump, Virginia Gov.-elect Ralph Northam won his election by focusing on issues, including public education, that matter most to families, as well as not taking the votes of people of color for granted. The Northam for Governor campaign is airing a new ad, “Folders,” highlighting Ed Gillespie’s long record of lobbying for corporate interests. Lt. Gov. Ralph Northam holds a 53-39 percent likely voter lead over Republican Ed Gillespie in the Virginia governor’s race, according to a Quinnipiac University poll released today. President Barack Obama will campaign with Ralph Northam on Thursday, October 19 at the Greater Richmond Convention Center. Humane Dominion announced its endorsement of Ralph Northam for Governor of Virginia. Ralph Northam comments on the president’s move to destabilize the Affordable Care Act and the coverage it provides to Virginians. Dr. Ralph Northam unveiled his policy plan outlining his goals for women’s health, equality and economic opportunity in Virginia. The Northam for Governor campaign announced today that President Barack Obama will campaign with Ralph Northam on Thursday, October 19. The Northam for Governor campaign released an interactive map showing the devastating impact Ed Gillespie’s tax plan would have on public education in Virginia. The gem of public higher education in Southwest Virginia, UVa-Wise, was the host site for the final Virginia gubernatorial debate between candidates Dr. Ralph Northam and Ed Gillespie on Monday night. 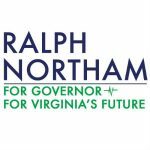 The United Mine Workers of America Virginia today announced its endorsement of Dr. Ralph Northam to be the next governor of Virginia. The Northam for Governor campaign is airing a new ad entitled “Want to See”. The Northam for Governor campaign raised $6,420,477.29 for the last reporting period ending Sept. 30. Democratic Party gubernatorial nominee Ralph Northam unveiled his policy plan to fight back against the prescription drug and heroin epidemic.